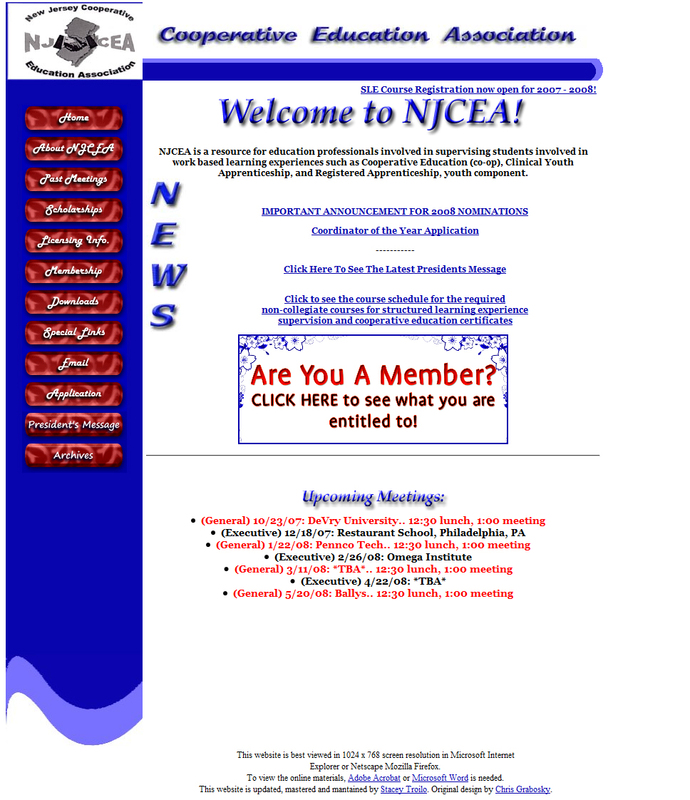 NJCEA is a website detailing the organization know as the New Jersey Cooperative Education Association. NJCEA is a resource for education professionals involved in supervising students involved in work based learning experiences such as Cooperative Education (co-op), Clinical Youth Apprenticeship, and Registered Apprenticeship, youth component. Although TechnoLogicRepair.com didn’t design this website, we have been involved in the updating process to keep this site updated with the latest information. Check it out!